Walter Rawlins was born in 1889 in ‘The Old Hall’, Nether Alderley to John Hogg Rawlins and Elizabeth Rawlins. John Hogg Rawlins, was given the mill, on Congleton Road, as a wedding present from his father in 1884. He ran it until he died in 1924, when his sons Ernest and John – Walter’s brothers – took it over. But the trade declined following the introduction of steam power, forcing the mill to eventually close in 1939. In 1901, Walter was 12 years old and still living in Nether Alderley. He spent nearly all his life in Nether Alderley singing as a boy choirister in the Church choir. 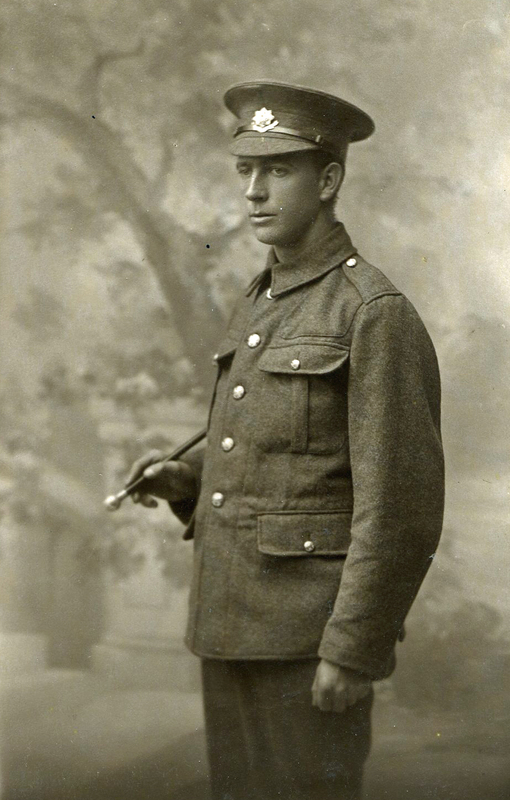 He enlisted in November 1914 in Altrincham into the Royal Welsh Fusiliers and first saw active service in May 1915. He took part in the battle of Loos and had previously had two narrow escapes being buried on one occasion in a dug out. 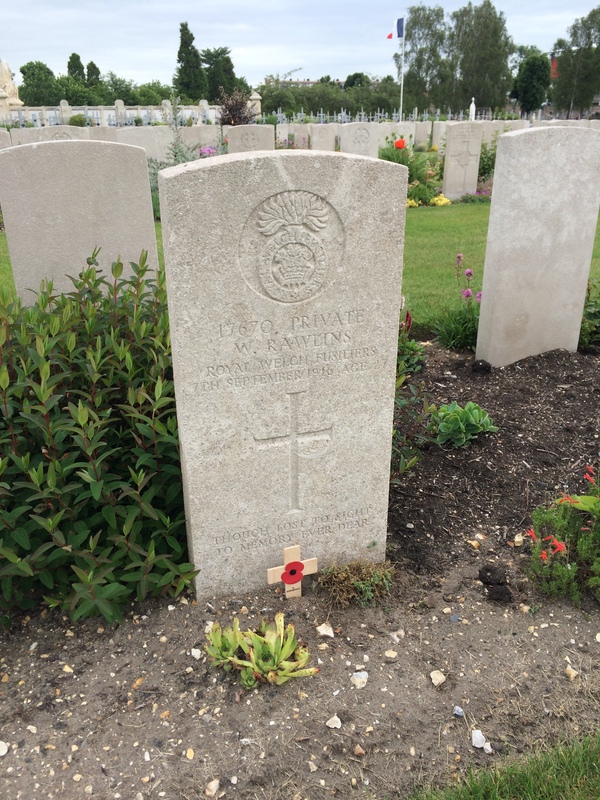 He was severely wounded on 4th September 1916 and was bought down to the Base hospital in Rouen. 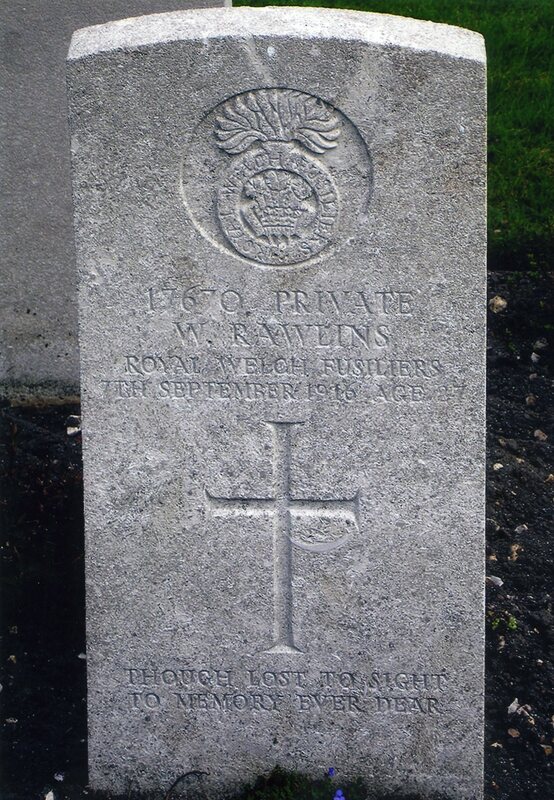 He died on the 8th September 1916. Last year, for the Church Open Weekend, I gave Jenny some memorabilia belonging to my Uncle Walter Rawlins for the World War 1 exhibition. I mentioned that I would like to visit his grave in St. 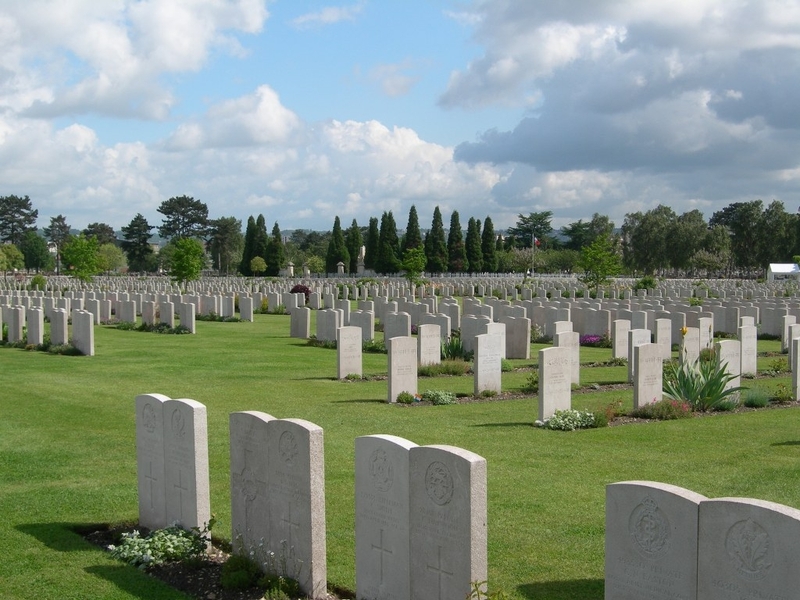 Sever cemetery, Rouen. Noni and Jenny said that they would like to accompany me and so after some discussion, it was decided to make the trip in June 2015. 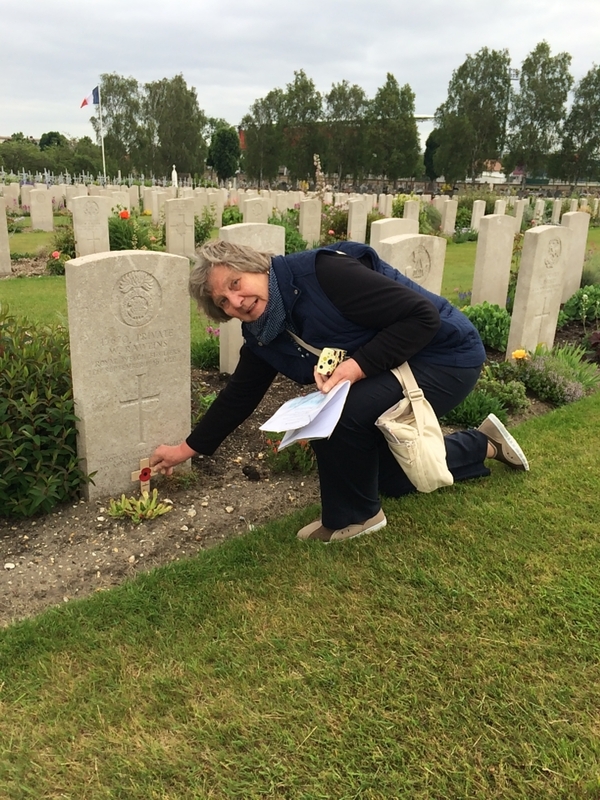 We found the cemetery, which was a public cemetery shared by ordinary people and soldiers. lt was beautifully tended, which I found very pleasing and comforting. We looked for his grave Row 23, no 23 and having located it, I was able to put a wooden cross on it. It was a sad and very emotional moving moment. On the way out, I was able to sign the cemetery register, which made me feel that Uncle Walter was still remembered and not forgotten. I picked up a fir cone and keep this on my windowsill as a reminder of Uncle Walter and this trip. We all had a good time, which I do not think we will forget. I am pleased that Noni and Jenny were able to come with me on this very memorable visit. I cannot thank them both enough for being my supporting companions.